Previously i wrote about my sore throat/cold remedy and realized i didn't cover what i like to do once the cold/sore throat is passing so heres my post-cold routine! I find that my skin just freaks out when i have a cold, quite understandably i suppose but still mighty annoying. 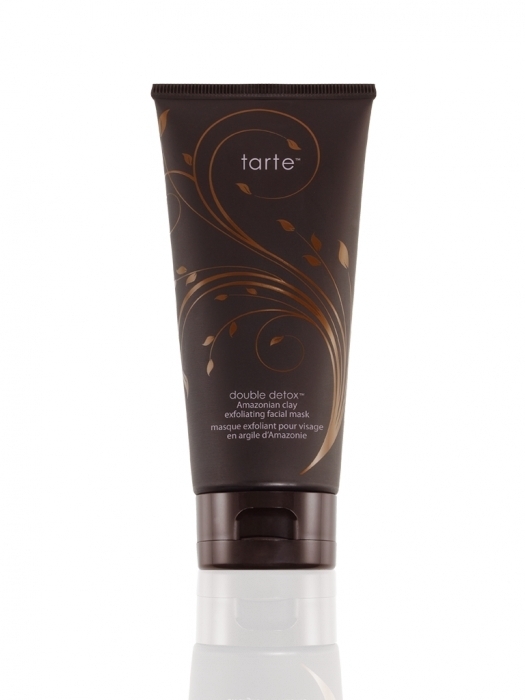 I like to use an effective mask that dries out all the yuckies, exfoliates away the dry crap and still soothes the skin, so when i'm traveling i usually reach for the Tarte Double Detox Amazonian Clay Exfoliating Facial Mask (i'm aware Tarte just sold to Kose, you can read my current thoughts here). Unlike some clay based masks it doesn't have that gross sulphur smell and is really easy to apply since it doesn't dry itself out. I apply it to clean skin (i just used a facewipe first thing in the morning then applied it), let it become mostly dry then add a little water to it in the shower and exfoliate my face with it while wiping it all away. Afterwards my skin feels clean, smooth and toned. Once my face is taken care of i like to take care of the insides next, namely my lungs! My sister recently introduced me to the salt pipe (no, it doesn't involve bath salts or eating faces); created in Hungary it was based on the findings of a Polish physician who noticed salt miners suffered little to no breathing problems. Essentially its a little pipe filled with salt that you inhale from. It takes a little getting used to at first as you have to breathe in through your mouth and out through your nose (sorta goes against everything you've ever learned about breathing, right?) and the first inhalation is pretty strong so start with small breaths and build up or you'll get quite the shocking lung-full of salty air! I've used it on and off for a few days now and while my cough still sounds like an angry seal i'm definitely able to take in a deep breath without wheezing. What are your favorite post-cold treats or tricks? Gargling with Bragg's Apple Cider Vinegar (a spoonful in a glass of water) can help with a sore throat.